Sherry FitzGerald are delighted to bring to the market No. 26 Bishops St. 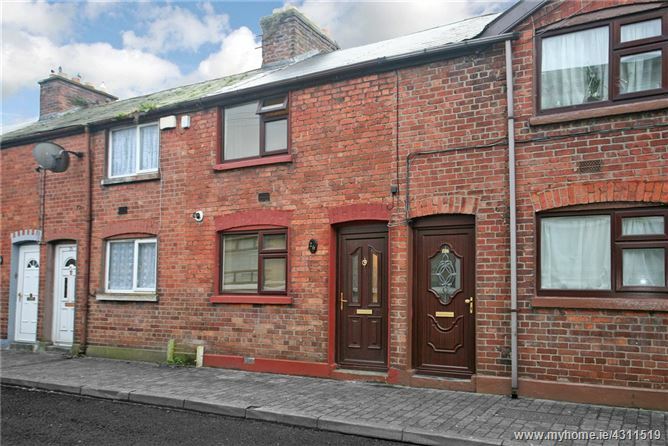 This newly refurbished 3-bed red brick townhouse offers the ideal starter home or buy to let option in close proximity to some of the city's historical landmarks. Bishop Street is conveniently located just beyond St Marys Cathedral, within close walking distance of King Johns Castle, the award-winning Locke Bar & Restaurant, Hunt Museum, and Absolute Hotel. 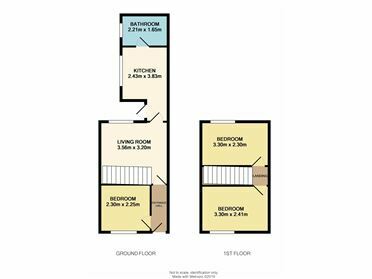 From the entrance hall, there is a single bedroom located to the left, decorated in modern colour palette and complete with high quality inset storage and laminate flooring. Further on lies the warm and inviting living area. Bright and tastefully decorated, the living room opens to a kitchen/breakfast bar toward the rear. The kitchen is recently refurbished with modern fitted units, dark-wood flooring and stylish splashback tiling. The patio door leads out to a secure back yard, ideal for storing bicycles etc. The main bathroom which is located just off the kitchen is partially tiled in bright white/grey tones and is fitted with an electric shower. 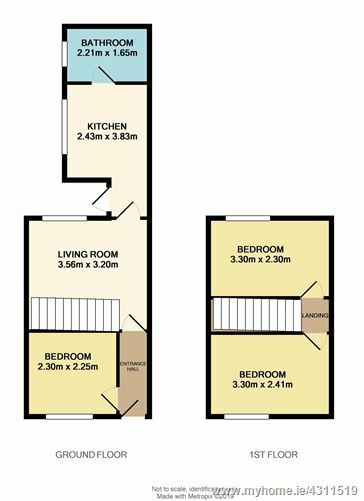 The first floor is accessible from the living room, offering two well-proportioned double bedrooms. Each bedroom is presented in excellent condition, complete with overhead spot lighting and high-end in-built wardrobes maximising the available storage space. Ent Hall, Living, Kitchen/Breakfast, Main Bath, 3 Bedrooms (1 Ground Floor Single, 2 First Floor Double). 54 Sqm, BER: D1, Double Glazed Windows, Secure Rear Yard.